San Miniato is situated halfway between the historic cities like Pisa, Florence, Siena,Lucca and Pistoia. Due to his position inside the Tuscan land, since ancient, San Miniato was often the subject of contention between those who held power in the surrounding lands. In fact, everyone was interested to grab this strategic stronghold situated on a hill, ideal spot for the control of the surrounding territories. This its location, central to all major roads, (in particular the Francigena) brought the dynasty of the Swabians to choose the medieval town as the imperial seat, hence became known as “San Miniato al Tedesco. For hundreds of years, San Miniato was the birthplace of many famous and important people, such as Francesco Sforza, and Matilda of Canossa. In SanMiniato had originally Bonaparte and Borromeo families. 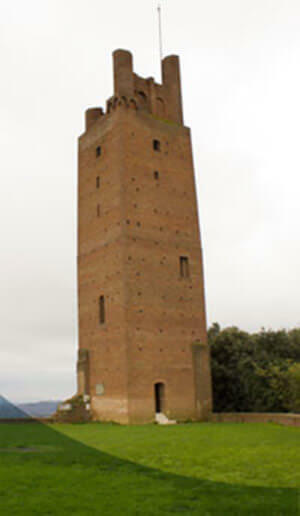 Dante Alighieri quotes in his major work, “The Divine Comedy“, the tower of “Frederick II”, where it seems that the poet “Pier delle Vigne” committed suicide. Main San Miniato’s points of interest. San Miniato is not just history and monuments but is also the cradle of traditional dishes and local products, for example, the famous white truffle and the Marzuolo truffle, valued and tasted in the local festivals for over 40 years.